North Koreans don’t believe in unicorns. Do you believe in the BBC? 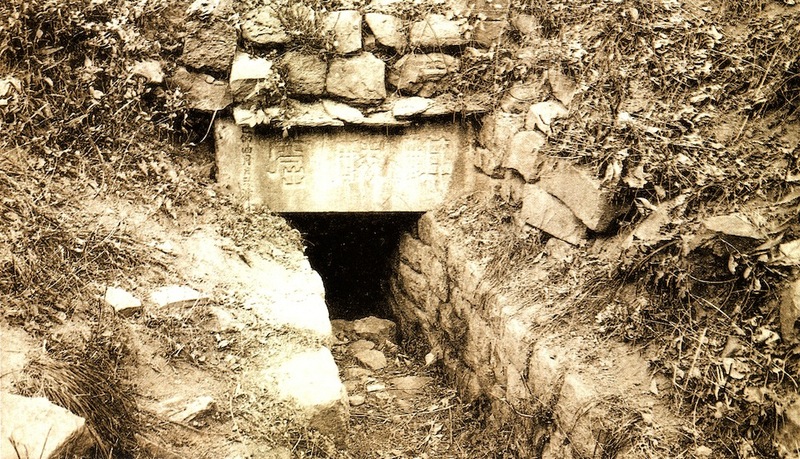 'Kiringul', which translates as 'Kirin's lair', is one of the sites associated with King Tongmyŏng, the founder of Koguryŏ, an ancient Korean kingdom. Did anyone see the feeble little piss-take Ian Hislop and co did last week on Have I Got News For You about gullible north Koreans supposedly believing in unicorns? The real story turns out to be that archaeologists from the DPRK have found some interesting evidence that an important ancient city that features in folk legends might have been situated close to the present day Pyongyang. Legend has it that in ancient times a famous king founded the city. The ‘unicorn’ just comes into it as a mistranslation of a Korean word denoting a mythical beast on which the king was supposed to ride. Turning this straightforward story about an archaeological dig into a slander about thick Koreans swallowing commie lies may pass for cutting edge satire at the BBC but will only fool the terminally credulous. Are thick Brits now to be pilloried for believing in giants (who else would inhabit the Giants’ Causeway? ), in dragons (what else did St George fight? ), or in (most far-fetched yet) the honesty and objectivity of the BBC lie machine? The following post was originally written as a reply to discussion on Facebook. It is reprinted here to aid wider circulation and facilitate discussion on this important topic. We are all agreed about the need to support the DPRK. The questions that have arisen here seem to be mostly attributable to the prejudices that we find hard to shake given the overwhelming anti-Korea propaganda to which we are all subjected on a daily basis. While we may have recognised this in theory, it still leads to all sorts of spurious allegations being easily accepted as fact. For example, Comrade L’s allegation that there is “very little development of Marxist education among the masses” or that “the party meets very infrequently”. I can see no basis in fact for these statements. Quite the contrary, evidence from comrades and friends who have visited the DPRK rather points the opposite way. They have found the people to be exceptionally well educated and informed about local, national and international matters – and Marxism is a central plank of the education system. Here is a short video clip from the National House of Class Education in Pyongyang, for example. There is an excellent article about north Korea from 2006 by Stephen Gowans that I would recommend everyone to read if they haven’t already. It gives a really comprehensive framework for thinking about and judging all information regarding the country and its leaders. Growing up infected with imperialist arrogance it is easy for us to dismiss or ridicule the achievements or difficulties of others, and exceptionally difficult to really appreciate how far they have come and against what odds and at what price. We are helped in this by all those on the fake left who, under the banner of ‘concern’ for the fate of the revolution, are always ready to agree with the imperialists that the socialism of any particular country is not true to Marx’s or Lenin’s aims or ideals – and to provide 101 unfounded assertions by way of proof that this is the case. But what are the aims and ideals of socialism? Not to conform to some dogmatic formula for Leninist purity, but to free the toiling masses from imperialist and capitalist exploitation and build a society where production and distribution are collectively planned and based on need. To establish firmly the dictatorship of the proletariat to that end and to educate the masses so that they may fulfil the position of rulers while keeping the expropriated exploiters down. In what way do comrades believe that the Koreans are failing to do this? Are they not rather to be congratulated on keeping closer to these aims than any other socialist country has managed to do, despite the hugely powerful forces ranged against them? Despite the partition of their country, the hostility between their hugely powerful socialist neighbours (the USSR AND China – a conflict they were alone in managing not to get dragged too far into) and the permanent state of war between their country and the 37,000 US troops in the occupied south, they have developed industry and agriculture, built a strong army and a nuclear deterrent, weathered natural and political/economic catastrophes (floods, collapse of the USSR etc) and still managed not only to keep everyone fed but to provide them with jobs, houses, excellent education and modern health care. All this in a country that was flattened by more bombs than Europe saw in WW2 and poisoned with more napalm than Vietnam. I personally worry that the Koreans seem to have abandoned the recognisably scientific terminology of Marxism Leninism in favour of the apparently more fuzzy terminology of juche, which seems to me to lend itself more easily to revisionist or nationalist manipulation. There are certainly plenty of charlatans masking their flunkeyism in ‘jucheist’ terminology. But should we necessarily blame the Koreans for that? In Stalin’s day, plenty of flunkeys inside and outside of the USSR masked counter-revolutionary positions behind pure ‘communist’ rhetoric. It’s just one aspect of the class struggle after the revolution. And we cannot deny that the Koreans have made use of their juche formulations to masterly effect. When the USSR collapsed, the USA confidently predicted that the DPRK would follow within a few years – and did everything it could to accelerate the process. And yet the imperialists have consistently failed to bully, blackmail or otherwise coerce the Korean people into giving up their freedom. One has only to look at Syria to see what kind of methods the imperialists use to divide people and set them against their leaders. Small divisions are made use of and amplified, and unlimited military and financial assistance is channeled to those that can be persuaded to turn against an anti-imperialist government. It is a phenomenal achievement of the Koreans that they have not allowed this to happen. Despite all the difficulties they have faced in the last 20 years, they have maintained a united front against the forces of the enemy – much to that enemy’s chagrin! On the issue of the leadership, it seems to me that the choice of the successor has put to bed at least one of the common slanders: it is clear that the country is NOT a ‘one-man dictatorship’. Kim Il Sung was a revolutionary of exceptional calibre in world history, who inspired Koreans to incredible feats – he was a leading figure in the revolution and became a figurehead for the party that led Korea successfully through the most terrible trials. His son was an able successor, whose government was able to defend and sustain Korea’s independence when socialist countries were collapsing like ninepins. Is it not possible that the people and the party have chosen the young Kim on the basis that he embodies their love of the revolution, as well as on the basis that they believe his life training has given him total loyalty to them and to the revolutionary cause? It is perfectly clear that, whatever his personal qualities, he is not governing alone – he is a figurehead for the dictatorship of the workers and peasants against all imperialist interference and capitalist roading. Hence the popular Korean slogan that the leader represents their ‘single-hearted unity’. Why should we sneer at these ‘undeveloped’ Koreans swearing ‘fealty’? Is it not possible that the love the Koreans show to their leaders is merely a symbolised form of their love for their revolution? Who are we, who have done so little to hurt the cause of imperialism, to damn those who have done so much and for so long? How can we, from our comfortable armchairs, appreciate what it means to have peace for your children after generations of genocides? And how can we, the product of an alienated, fragmented society, imagine what it means to start to rediscover your collective humanity under socialism? We are so used to imagining that our inculcated cynical detachment is the pinnacle of sophistication that we don’t recognise a society that is socially in advance of our own! The Koreans are proud of the things they have achieved and determined to protect the gains they have made, and it seems to me that their choice of leader is a reflection of that. Comrade L asked about the lack of great Marxist texts forthcoming from Korea in the last few decades. But where have great Marxist texts come from instead? What is there that needs to be written that has not been covered for our era by the great founders of our movement? Marx and Engels comprehensively analysed class society, defined scientific socialism and outlined the tasks of the proletarian movement. Lenin masterfully updated their theories for the era of imperialism and revolution. Stalin documented the struggle of the dictatorship of the proletariat before and after the seizure of power and outlined the economic problems of socialism. Mao set out tactics and principles for peasant countries fighting both feudalism and imperialism, as well as working out the principles for successfully waging guerilla warfare. All revolutionaries since then have merely worked, in their own countries, to explain the principles set out in the works of the aforementioned – to apply the scientific approach to particular situations. Kim Il Sung was particularly talented in this regard, and his writings resonated with many all over the world. He was a great Marxist Leninist. In fact, despite all their brilliance, neither Mao nor Stalin saw themselves as adding to Marxism Leninism, but only as students of the subject – applying the science to the concrete conditions in which they found themselves. Kim Jong Il wrote long articles on many topics, especially on the arts under socialism, in which he took a particular interest, but his works are ignored in the West. Then again, so are his father’s. And so are Stalin’s, so he’s in good company! Mostly though, I think we need to remember that people generally, and leaders particularly, write about what is in front of them – writing is not something they sit down to do in the abstract; they do it because it answers a need. 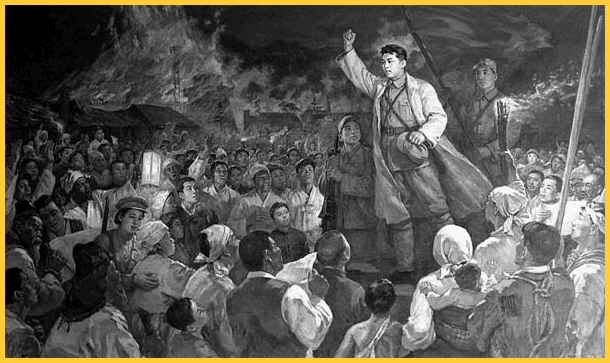 Kim Il Sung wrote during a period of the advance of the world revolution, and much of his writing was concerned with the overthrow of imperialism and the development of revolutionary forces – mainly in Korea but also elsewhere. 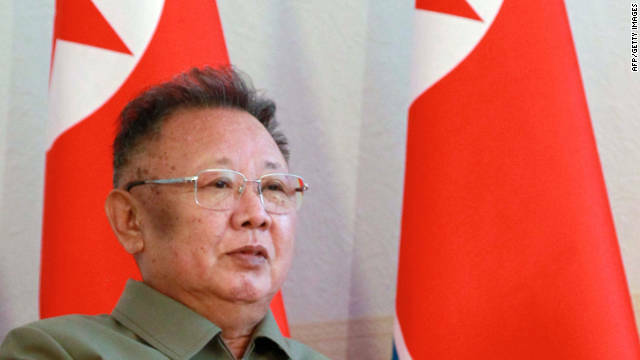 Kim Jong Il was writing at a different time, and his primary concern was with defending socialism in Korea in an increasingly hostile world, so it is not surprising if his work has less resonance elsewhere in the world. More to the point, neither of the Kims’ works are circulated widely because most of the so-called revolutionaries in the imperialist world don’t actually support Korea. But their rejection doesn’t prove that Korea is ‘inward facing’, any more than imperialist attempts at economic strangulation prove that it is ‘isolated’. It is not Koreans who are isolated from us, but we who are cut off from them. Koreans know what is going on in the world, they study languages, geography, history and politics and they make a point of understanding the machinations of imperialism. They have had to to survive! I really don’t think any of the above is particularly controversial to the comrades who are discussing here, but the tone of the discussion leads people to imagine a far greater disparity between their views than there actually is. Perhaps we need to learn a lesson from the Koreans and show some restraint. A little more humility would well become us all! Talks between the delegations of the Workers’ Party of Korea and the Communist Party of Great Britain (Marxist-Leninist) were held in Pyongyang on Thursday. Present at the talks from the WPK side were Department Director Kim Yong Il and officials of the Central Committee of the WPK and the CPGB-ML side members of the delegation of the Communist Party of Great Britain (Marxist-Leninist) led by General Secretary Zane Carpenter. At the talks, both sides informed each other of the activities of their parties and exchanged views on further developing the relations between the two parties and matters of mutual concern. General Secretary Kim Jong Il was presented with a gift by the visiting delegation of the Communist Party of Great Britain (Marxist-Leninist). The gift was handed to Department Director of the Central Committee of the Workers’ Party of Korea Kim Yong Il by General Secretary of the Communist Party of Great Britain (Marxist-Leninist) Zane Carpenter who is heading the delegation on Thursday. Pyongyang, January 21 (KCNA) — The DPRK extends full support and solidarity to the Palestinian people in their struggle to drive the Israeli aggressors out of their land and take back the legitimate rights including the right to self-determination. A DPRK delegate said this in a speech made at a special meeting of the UN General Assembly held on Jan. 15 in connection with Israel’s attack on the Gaza Strip of Palestine. He bitterly dismissed the said aggression as a wanton violation of the UN Charter and international law and an undisguised provocation to the Mid-east peace process. What should not be overlooked is that the Israeli army’s dreadful atrocities are being committed under the strong patronage of the U.S. The reality proves once again that the U.S. is the harasser of world peace and the worst human rights abuser. It is not only the legitimate rights but also the just cause for the Palestinians to struggle to retake the occupied territories and build a sovereign and independent state. Israel should stop all military actions in the Gaza Strip and immediately withdraw its aggressor armed forces from there. Thank you, Harpal, for your wonderful and inspiring speech about the October Revolution and our Korean achievements. As always, on behalf of my ambassador and all the other staff, I would like to express my sincere thanks to all the members and activists of the CPGB-ML on your support for our Korean revolution and the solidarity you’ve shown in our difficult times. Thank you very much. On this occasion, also, I would like to congratulate all the members of the CPGB-ML on this very auspicious occasion of the [anniversary of the] October Revolution. The great October Revolution proved that the working class, when guided by correct and just ideology, and the wise leadership of their outstanding leader, could defeat the reactionaries of history – anti-revolutionaries – and thus build a new society and a new world. The justness and vitality of the October Revolution has been proven throughout history. Comrade Harpal explained that very well in his speech: the socialist revolution and construction of socialist society in the Soviet Union, the defeat of fascism in World War II and the consequent victories of the socialist and people’s democratic revolutions and anti-imperialist national-liberation struggles throughout the world – Asia, Latin America, Europe and Africa. Our party and government does continually safeguard the spirit and the principles of the October Revolution, through ups and downs, and, I think, will do the same in the future too. Let me finish my short speech by reading an excerpt from a great work by Comrade Kim Jong Il, with a very touching anecdote from 2001 by him. You may all remember the work, but I will just repeat. It is a work written by him in 1996: ‘Respecting the forerunners of the revolution is a noble moral obligation of revolutionaries’. “The cause of independence for the popular masses, the cause of socialism, is a national, and at the same time an international, cause. The Korean revolutionaries are genuine internationalists; they respect the revolutionaries, anti-imperialist fighters, anti-fascist fighters, progressive figures and revolutionary people of all countries, irrespective of their nationality, and duly appreciate their achievements. “Our party and people respect Marx, Engels, Lenin and Stalin as the leaders of the working class and speak highly of their distinguished services. Reflecting the demands and aspirations of the working class, Marx and Engels, the first leaders of the working class, developed socialism from a utopian concept to a science and started the socialist and communist movement. “Lenin inherited and developed Marxism to meet the change in the times and won the victory of the October Socialist Revolution by organising and mobilising the working class. “Stalin, succeeding to the cause of Lenin, built the first young socialist state into a world power and defended the socialist fatherland from the fascist invasion, leading the army and the people. In their days, Marx, Engels, Lenin and Stalin represented the aspirations and demands of the exploited working masses, and the cause of socialism was inseparably linked with their names. “Although the opportunists and the socialist renegades defaced the honour of the leaders of the working class and the revolutionary pioneers, they can never wipe out their names and their worthy achievements from history. “Just as socialism is alive in people’s minds and is opening up the path to a new victory in spite of temporary twists and turns, so the honour and accomplishments of the leaders of the working class and the revolutionary forefathers be respected forever by the people as the socialist movement advances. “Our party and people treasure friendship and solidarity with the peoples of various countries around the world and have given active support and encouragement to people who are fighting for socialism and for the cause of anti-imperialist independence. “We have invariably been true to the internationalist principle and revolutionary obligation, both in the party and state relations with the socialist countries and in our relations with all the friendly countries and friendly people” like Britain.